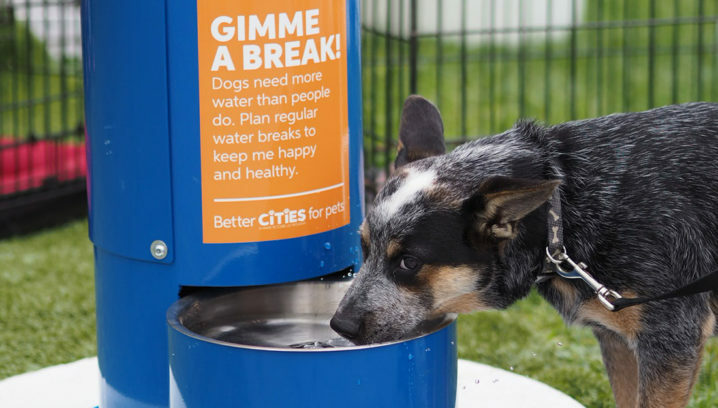 A successful pet-friendly workplace program brings many benefits. But it depends on all parties agreeing to clear guidelines about behaviors and accountability. Here’s a sample workplace pet policy with suggested guidelines for requirements, responsibilities and how to manage issues. Your actual pet policy should reflect your organization’s decisions about bringing pets to work, such as which types of pets are allowed and what the requirements are for participants. Pets make our lives better in so many ways. At work, they create a fun, happy environment, encourage interactions among people, and get us up for regular exercise breaks. Pets are also a responsibility, and the opportunity to have them at our workplace is a privilege all participants must respect. 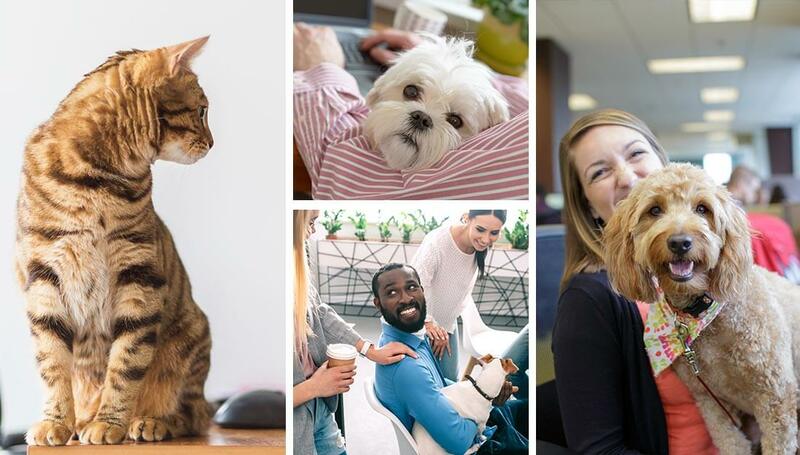 To take part in our pets-at-work program, employees must agree to honor this workplace pet policy. This workplace pet policy applies to employees only. Because it would be too difficult to track requirements and participation, we do not allow visitors to bring pets to our workplace. 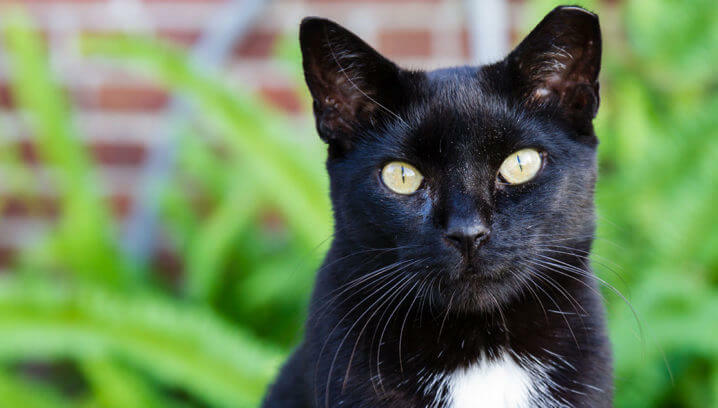 This policy applies to [XYZ] location, and participating pets are allowed any time their owner is at work. The focus of our policy is dogs and cats. Other pets are not included at this time. Please contact HR if you would like to explore adding other pet types to the workplace pet policy. At least 3 months old. Up to date on vaccinations required by state law. Free of any communicable infections or any parasites such as fleas. Obedient, well-socialized and with no history of biting, excessive barking, chasing or aggressive behavior. Microchipped, to help locate and return them in case they would run away while visiting. Covered under their owner’s homeowners/renters insurance policy, which must cover dog bites. Be 100% responsible for their pet’s behavior, well-being, hygiene and happiness the entire time he or she is visiting. Be respectful of other employees, and their pets, to ensure everyone can be as successful and productive as possible at work. Manage their workspace to ensure it is “pet-proofed” and safe for their visiting pet. Keep their pet with them and controlled throughout the day. Or, make arrangements with a colleague to do so if they need to step away. Ensure that their pet’s behavior does not interfere with other employees’ comfort or ability to do their work. Provide their own pet items to ensure pet safety, such as leashes, crates or gates to keep the pet securely in the employee’s work area. 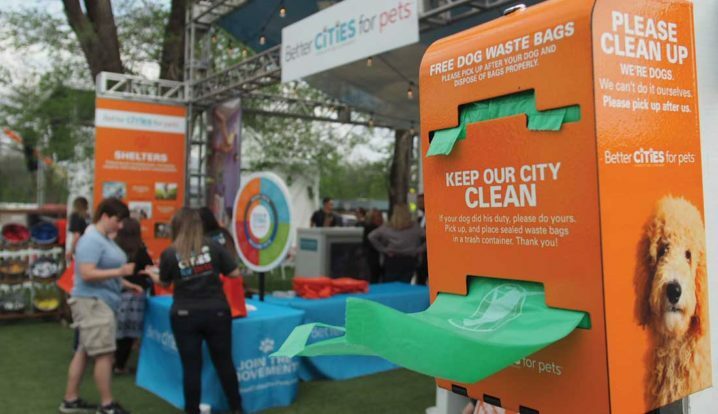 Provide their own pet wellness items, such as waste bags, toys, food and water bowls. Provide adequate bathroom breaks, access to water and food, and exercise throughout the day. Clean up after their pet immediately if any accidents occur. Maintain homeowners/renters insurance that covers dog bites. Be legally and financially responsible for any damage caused by their pet. Provide annual proof of vaccination and health for their visiting pets. Keep pets out of pet-free areas. Use alternate pet care away from work on days when the employee would be unable to fully manage the pet at work (e.g. an all-day meeting) or the pet is ill.
Take their pet home at any time if the pet’s behavior or health makes it a distraction, nuisance or danger to anyone else, or if asked to so by their manager. Talk with the pet owner and work to resolve issues mutually. Escalate the issue to the pet owner’s supervisor. Escalate the issue to Human Resources.